Hi, everyone. 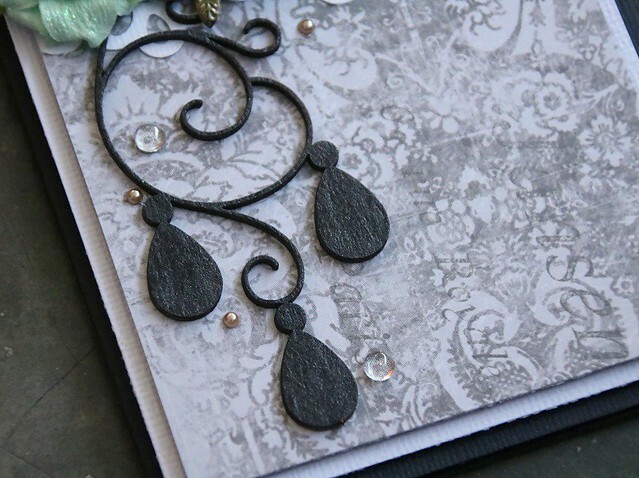 Today I'm sharing about 2 cards and a mixed media canvas projects at Off The Rails Scrapbooking. 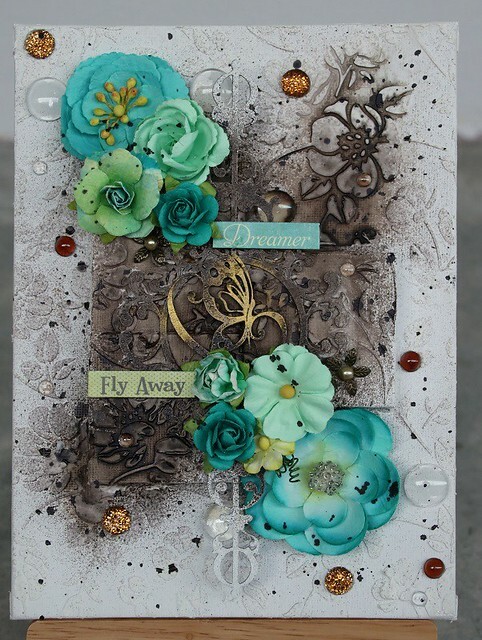 I also did a video tutorial for the mixed media canvas so do hop over to watch. 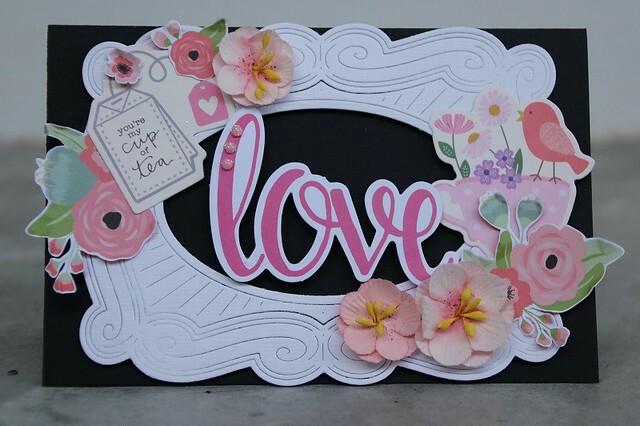 And do join us for our monthly moodboard challenge. 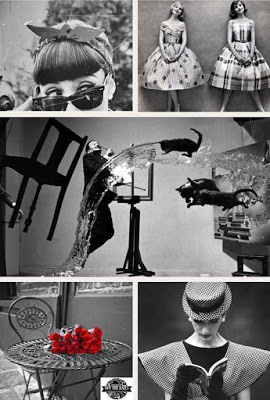 I love this month's moodboard. Black & White with a color of your choice. This month we have a special card reveal at our blog here. I made 2 cards using this month's moodboard. 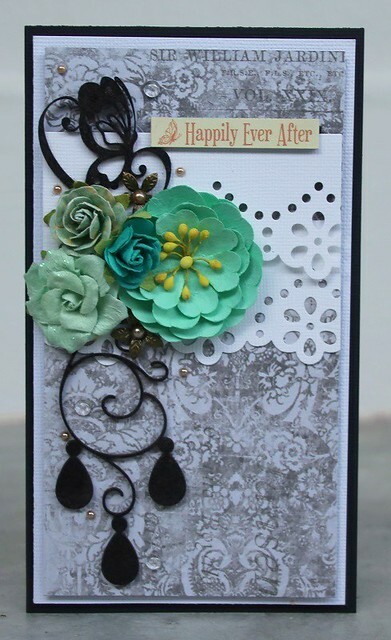 One is a easily put together card with stickers and diecut ephemera. 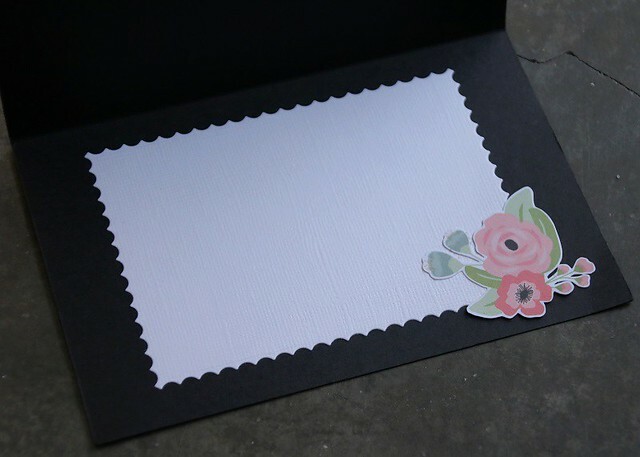 For the inside of the card, I adhered a negative cut out that I saved from a scalloped edge frame diecut. 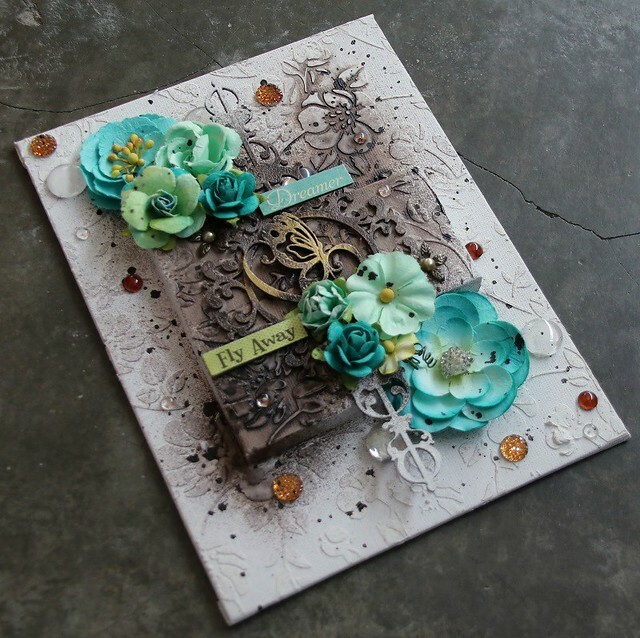 The other card is inspired by my mixed media canvas. So you can see the similarities in design and color. I painted the butterfly and ornament chipboards with black shimmery acrylic paint. But from the picture can't really see the shimmery. 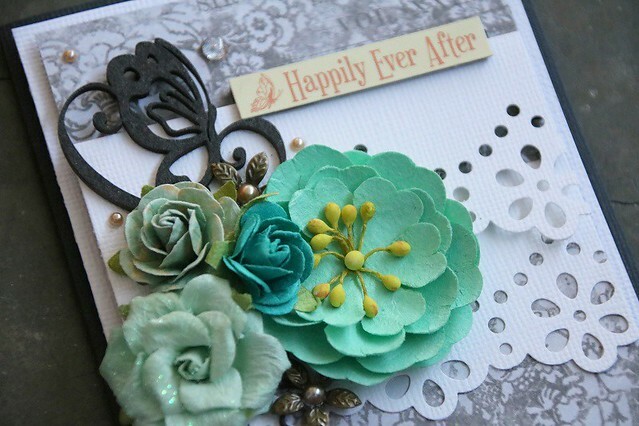 Do hop over to Off The Rails Scrapbooking for more closed up pictures and my video tutorial. I hope you enjoy my sharing and join us for our challenge. Have fun. 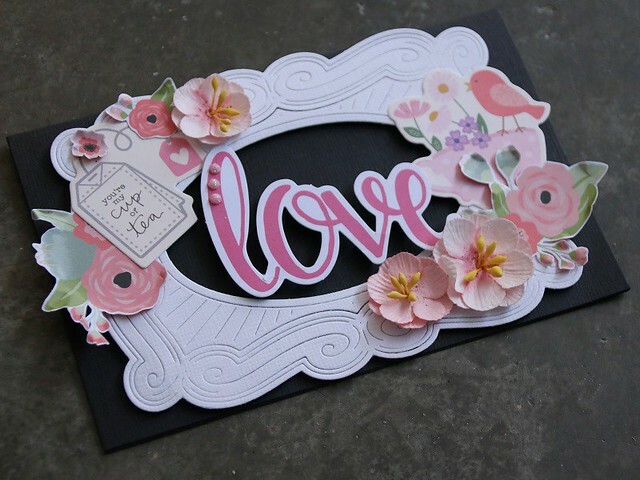 Always like your mixed media creations.